Maintenance and revamping are processes that Campana Forni performs following the current guidelines, as an additional service for our clients. We talk of maintenance when it is necessary to perform some remedial action in order to allow the correct functioning of the machine. Maintenance is a service offered by Campana Forni that goes beyond the simple production and commercialization of industrial furnaces. Our assistance does not end with the selling, but includes a path that is aimed to act in case of particular findings. Depending on the problem identified, maintenance and revamping program can be activated. Maintenance can be ordinary and extraordinary, depending on how deep it is necessary to intervene and the kind of intervention to be made. Thanks to our competence and the work of our tireless team we are available in every time of the year not just for simple maintenance, but also for revamping necessities. Revamping is a treatment that forms part of maintenance field, but it operates more deeply, since it goes to replace one or more parts of the machine. It may occur, infact, some problems due to wear or other causes, or that there is a simple need to adjust to a new technology. 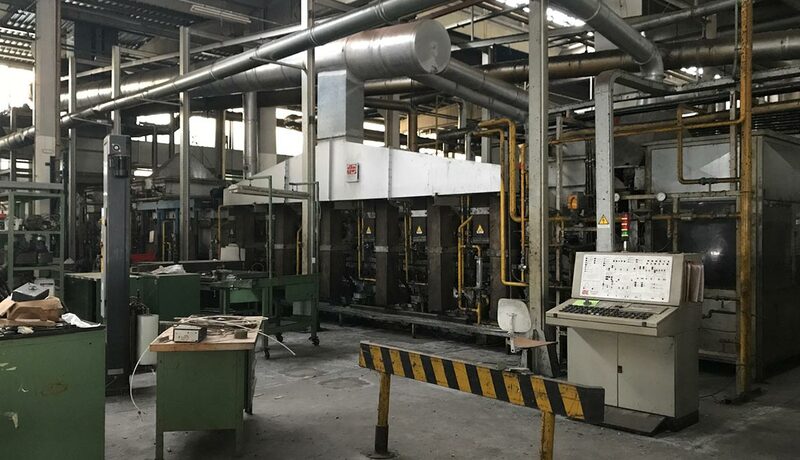 The industrial furnaces sector is in constant evolution, and we of Campana Forni adopt the best technologies in order to keep up with the evolutions in this field. With the revamping you can proceed to a review that includes a substitution of components and a guarantee of extraordinary maintenance. Besides, with the revamping it is possible to obtain the incentive of Industry 4.o, according to the Circular 4E of 03/30/2017. In addition to revamping, we have activated an assistance service, guaranteed in the 48 hours from the request in Italy. From a perspective of giving a quality and loyalty service, we decide to give assistance also for third-part systems, relatively to part that are not subjects to wear for usage. Campana Forni machines are also equipped with an Ethernet connection control system, that allows a remote control for diagnosis and check of the problems. Upon request, it is also possible to active an assistance within the 24 hours. Some of our most common work include the methane burner calibration and the oven mapping, with the release of the certification of intervention.